Heat a panini press over medium heat for three minutes. If you are using a stove top press, be sure to heat both the pan and the pressing lid. If you are using an electric press, preheat according to manufacturer instructions. While the press is heating, spread four of the bread slices with the plum jam, and the remaining four slices with the grainy mustard. Layer ham and cheese onto the bread slices that’re spread with mustard, then top them with the jam-spread slices. Use a pastry brush to coat the outside of each sandwich lightly with Garlic Gold® Oil. When the press is heated, brush both sides with Garlic Gold® Oil, then place the sandwiches in the press. If using a stove-top press, turn the heat down to medium-low and let the sandwiches cook for about five minutes, until the cheese begins to melt and the bread is well-browned. If using an electric press, cook according to manufacturer’s instructions. 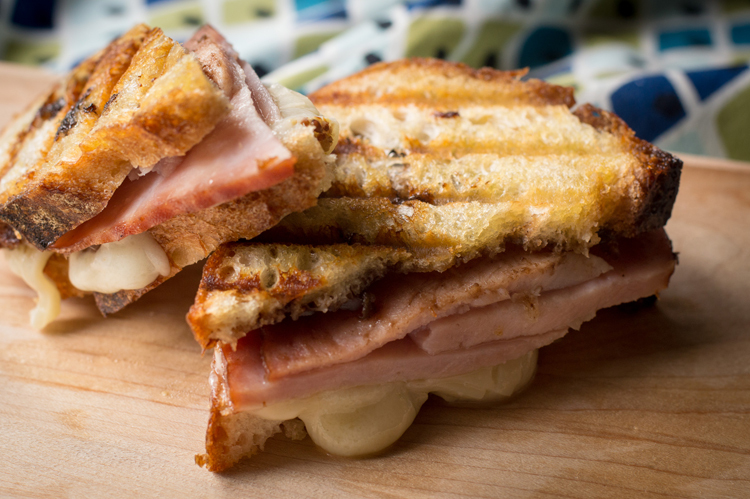 Slice the panini in half and serve while hot and melty. Place the peeled potatoes in a large (5 or 6-quart) pot. Cover them with cold water by one inch, then bring up to a boil over medium-high heat. When the water begins to boil, turn the heat down to low and simmer the potatoes, covered, until fork tender, about 15-20 minutes. Drain the potatoes in a colander in the sink, then immediately return them to the warm cooking pot. Add the broth and Garlic Gold® Nuggets in Oil to the pot and place over medium heat. When the broth begins to simmer, turn off the heat and mash the potatoes with a potato masher until creamy and as smooth as you like. 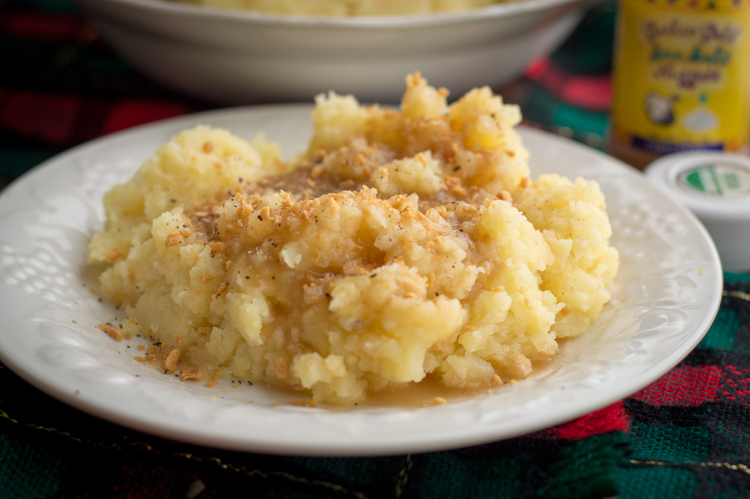 Add salt to taste, taking care not to over-stir the potatoes so that they do not become gluey. Transfer to a crock pot on “keep warm” setting for up to 3 hours, or serve immediately, while piping hot. In a medium (3-quart) saucepan, bring 1 1/2 quarts of water to a boil. Season with one teaspoon sea salt if desired. Add the diced squash and pasta to the water and boil until pasta is al dente and squash is fork tender, about 10 to 12 minutes. 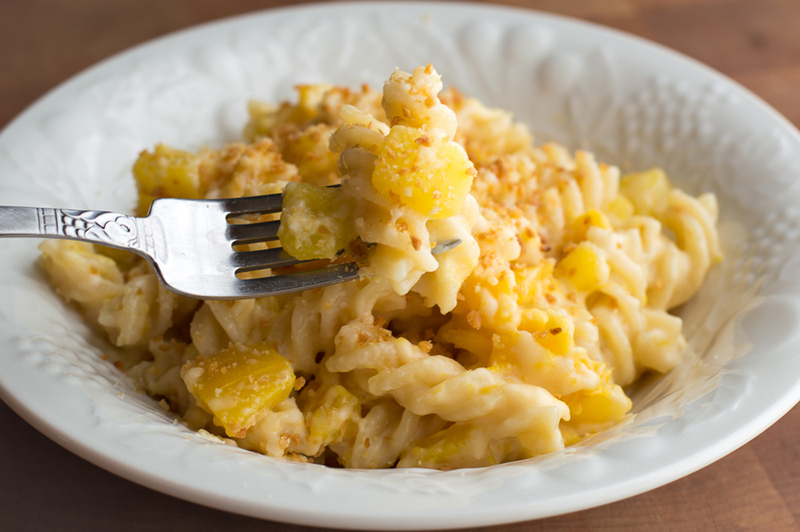 While the pasta and squash are cooking, prepare the cheese sauce. In a small (1-quart) saucepan, heat the Garlic Gold® Oil and flour over medium-low heat, stirring frequently. When the mixture begins to bubble and simmer, continue to cook for a minute or so, just to get rid of the raw floury taste but not to brown. Slowly pour the milk into the butter and oil mixture, stirring briskly to combine. When the sauce has thickened, turn off the heat and add the shredded cheese, stirring until the cheese has completely melted and mixed into the sauce. Drain the pasta and squash, then pour into a large serving bowl. Add the cheese sauce and stir to combine. Top with Garlic Gold® Parmesan Nuggets and serve. Bring a large pot of water to a boil, and cook pasta according to package instructions, until al dente. Ladle out a cup of pasta water into a cup and set it aside, then drain the pasta into a colander. While the pasta is boiling, heat the Garlic Gold® Oil in a large (12-inch) skillet over medium heat. Add the pieces of Italian sausage and sauté until opaque and beginning to brown, about three minutes. Add the onion to the skillet, sautéing until softened and translucent, about three minutes, then add the red pepper flakes and sauté for one more minute. 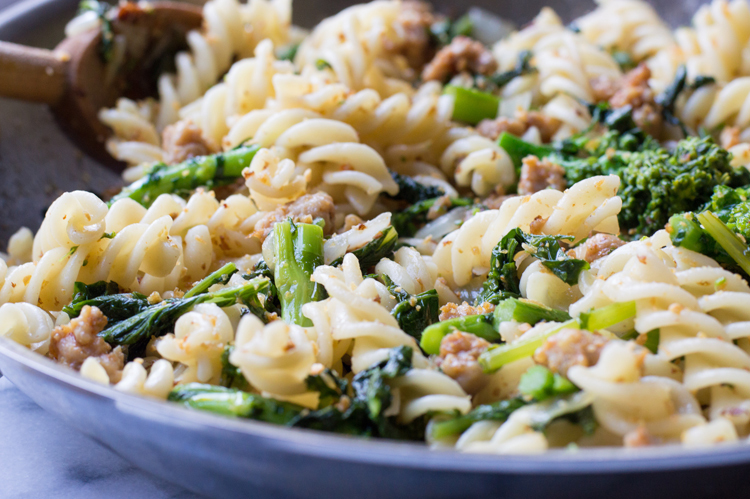 Add the broccoli rabe to the skillet, stirring to mix it in with the other ingredients and coat it with oil. Pour 1/3 cup of the reserved pasta water into the skillet, using a wooden spoon to scrape any browned bits off of the bottom of the skillet. Cover the skillet and let cook for five minutes. Uncover the skillet and stir in the cooked pasta. If the liquid has completely evaporated and the pasta is sticking to the skillet, stir in another splash of pasta water. Turn off the heat, stir in the Garlic Gold® Nuggets , and serve piping hot. Can't find broccoli rabe, or don't like its slightly bitter taste? No problem! Broccoli florets, halved brussels sprouts, or destemmed, chopped kale are great substitutes. Veganize this recipe by substituting cubed tofu, tempeh, or vegetarian sausage for the Italian sausage. In a small mixing bowl, combine tomatoes, onion, and cilantro. Set aside. 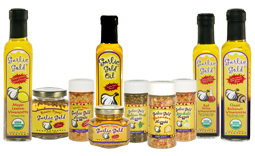 In a medium (10-inch) nonstick skillet, heat 2 tablespoons of the Garlic Gold® Oil over medium heat. Add the diced potatoes and sauté until golden browned and crisped, tossing often, about 20 minutes. Set aside. Crack the eggs into a medium mixing bowl and whisk vigorously until thoroughly blended. Add the remaining Garlic Gold® Oil to the now empty skillet and turn the heat down to medium-low. Pour the eggs into the skillet and stir with a wooden spoon until cooked through and fluffy, about 5 minutes. Turn off heat and set aside. Use a pair of tongs to warm the tortillas over an open flame until slightly charred and beginning to puff up, or microwave until steamed and soft, about 20 seconds. Place two tortillas on each plate, then top with scrambled eggs, grated cheese, potatoes, and tomato and onion mixture. Sprinkle generously with Garlic Gold® Southwest Nuggets and serve.